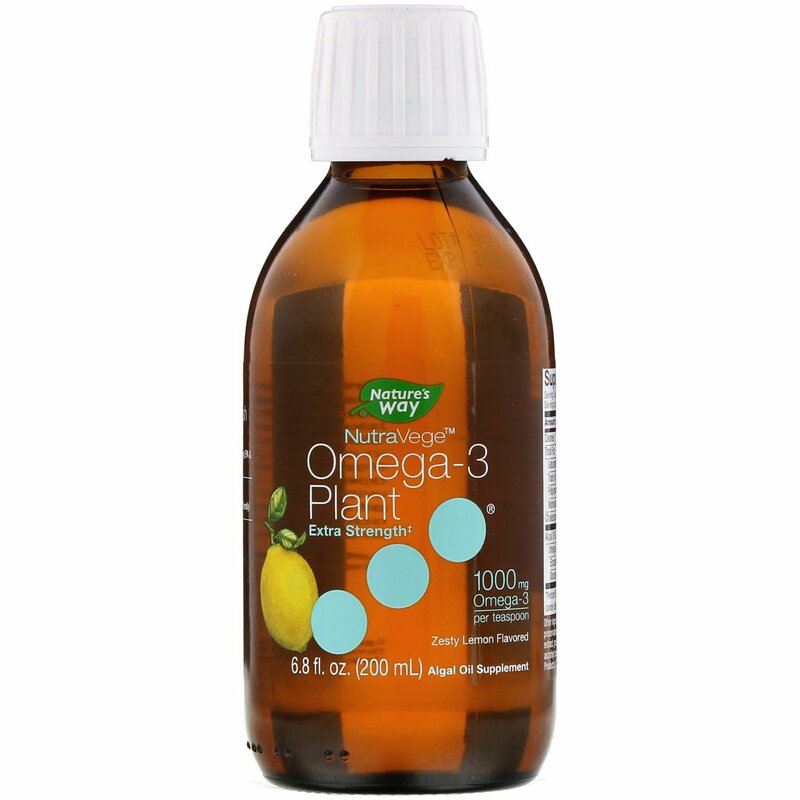 Plant Sourced Formula - Provides a minimum of 300 mg EPA & 600 mg DHA per teaspoon. ‡As compared to NutraVege Omega-3 Plant 500 mg Zesty Lemon Flavored. 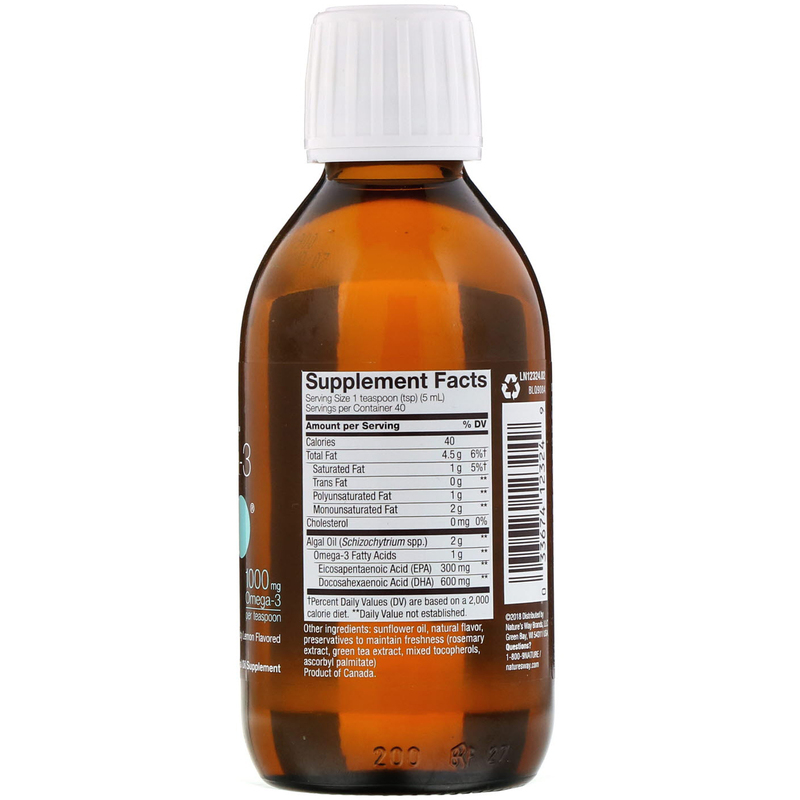 Sunflower oil, natural flavor, preservatives to maintain freshness (rosemary extract, green tea extract, mixed tocopherols, ascorbyl palmitate).